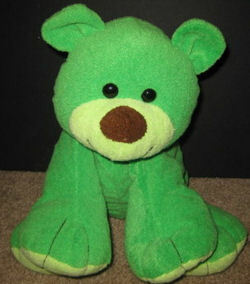 Hi, I saw a picture of this 2005 Commonwealth plush green soft teddy bear, and I absolutely fell in love with it, and want to buy it for my girlfriend. I want to buy the bigger version of the teddy bear, though. I have found a 13″ version, but that is definitely not big enough.